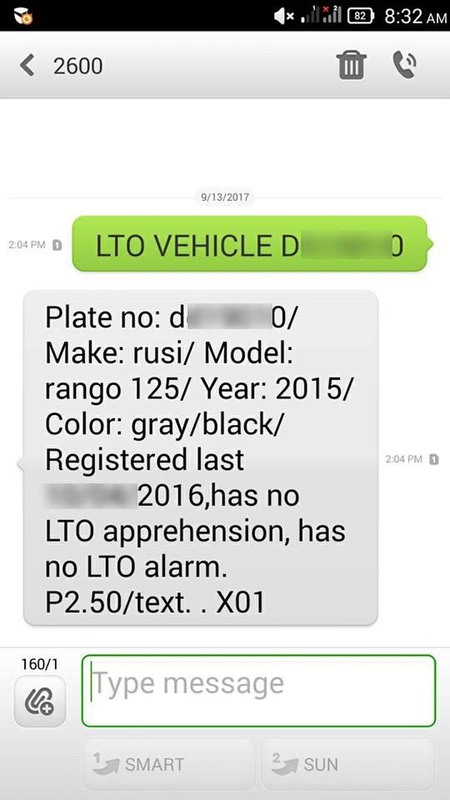 Philippines – The Land Transportation Office (LTO) has created a services that could help Filipino citizens in checking the status of a certain vehicle by typing the vehicle plate number through a mobile phone and send them by a text or sms messages to 2600. 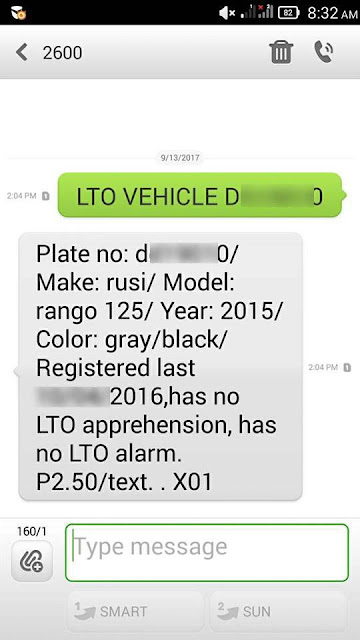 After a few seconds a return text or sms messages from 2600, under the messages the vehicles information are all indicated like the maker of the vehicle, model of the vehicle, year on when it’s made, color of the vehicle, when was the last registration of the vehicle, records of the vehicles violations and LTO alarm if there’s any. In this LTO services you can already know about on what’s the real status of the vehicle that you are inquiring about or if you are a vehicle buyer, especially if you are interested on buying a second hand vehicle this is a very good tips in checking their status first before buying them as you will no longer need to go to the nearest LTO Satellite Offices to check the Vehicle status anymore. Aside from them checking or the verifications of LTO Vehicle Plate Number for personal use, the services can be also used for verifying a certain vehicle if it’s stolen, use in crime or other criminal actions related to using the vehicle. 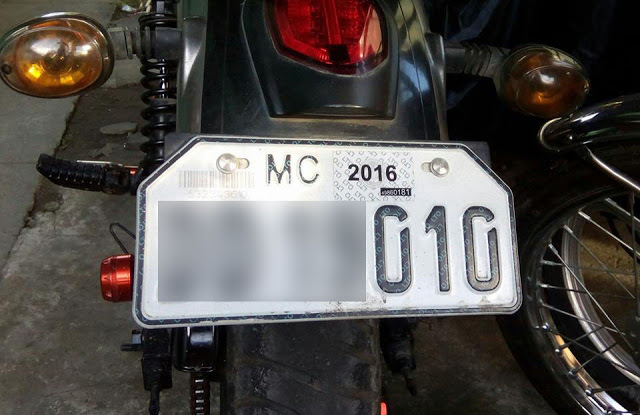 Take note: this vehicle verification has only tried on motorcycles only. Vehicle’s like cars, truck or public utility vehicles has not yet tried, but it doesn’t mean that it will not work for them? Just try for yourself to know? Also the cost of this LTO services in verifying Vehicle LTO Plate Number is just P2.50.00. No Comment to " How to Check the Status of a Certain Vehicle by Texting Her LTO Plate Number to 2600 "